Eggnog has a flavor that I find hard to describe. It’s rich and eggy, with rum and spices. Some people find it way too heavy and can’t stand to drink it. It’s usually because the egginess is just too much. 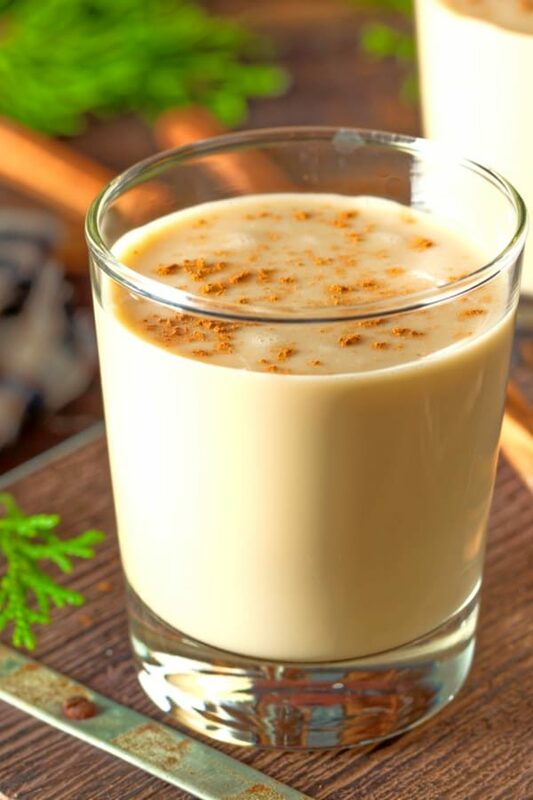 For other eggnog haters I’ve talked to, it’s the spices and the flavor profile. Something about it just doesn’t work for them. And yet others may love eggnog, but have been told to avoid the cholesterol on a doctor’s orders. 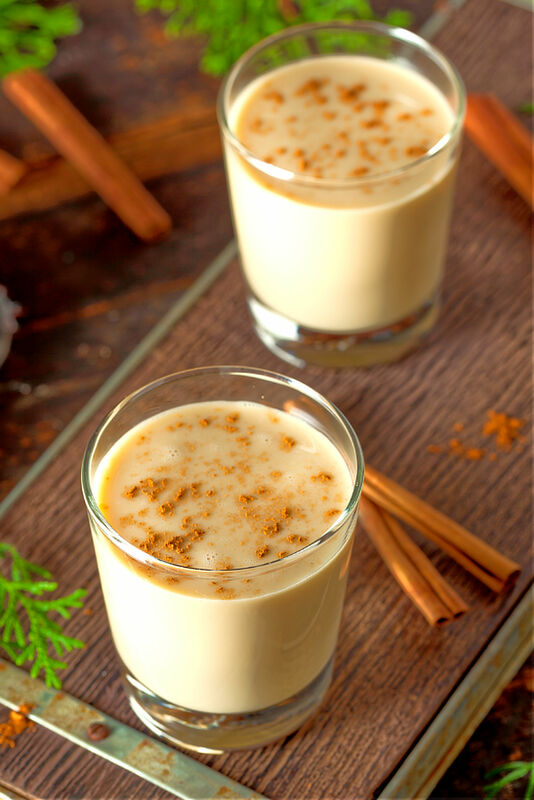 So what do you do if you want to serve eggnog at a party for a mix of guests? When you’re serving it for guests, I suggest you have another drink entirely on hand. So either offer another cocktail (check out our Christmas cocktails here) or some wine. Note in particular the Eggnog Martini, which uses a little bit of eggnog, but lightens it up with vodka and amaretto. 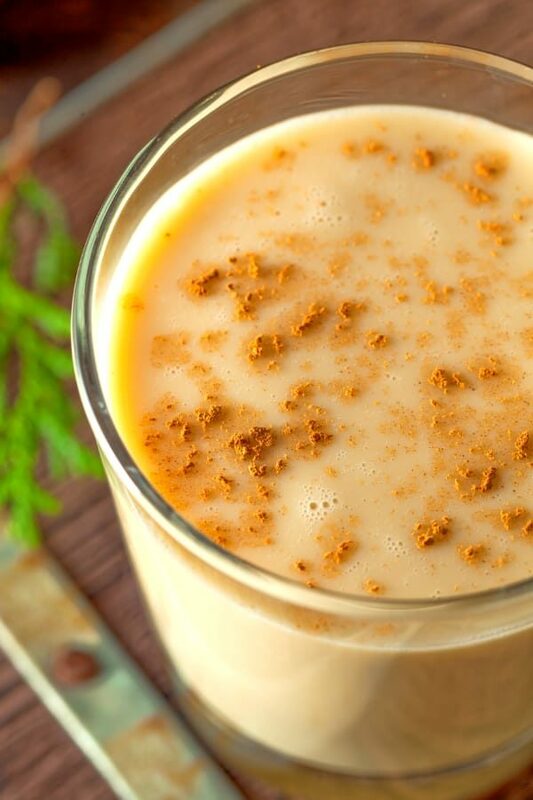 You could also make another version of eggnog that uses egg substitute or something like almond milk in place of eggs. The latter is surprisingly sweet and delicious, and much less rich and thick. 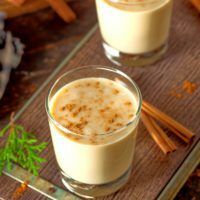 Eggnog is intensely filling and therefore probably best served at parties with munchies rather than along with meals. Otherwise, it’s like adding a couple of eggs onto your meal. It’s is an ideal drink for premixing pitchers to keep guests happy all night long. Always make both alcoholic and non-alcoholic pitchers of it, unless you’re absolutely sure all your guests go one way or the other. With this recipe, the non-alcoholic version is the same as the regular, except you leave out the alcohols. You can add a few drops of rum extract if you want that taste. This eggnog recipe makes 6 servings, because usually people make eggnog in bulk. Whatever you don’t drink now will store for later in the refrigerator. It should last for 2-3 days. 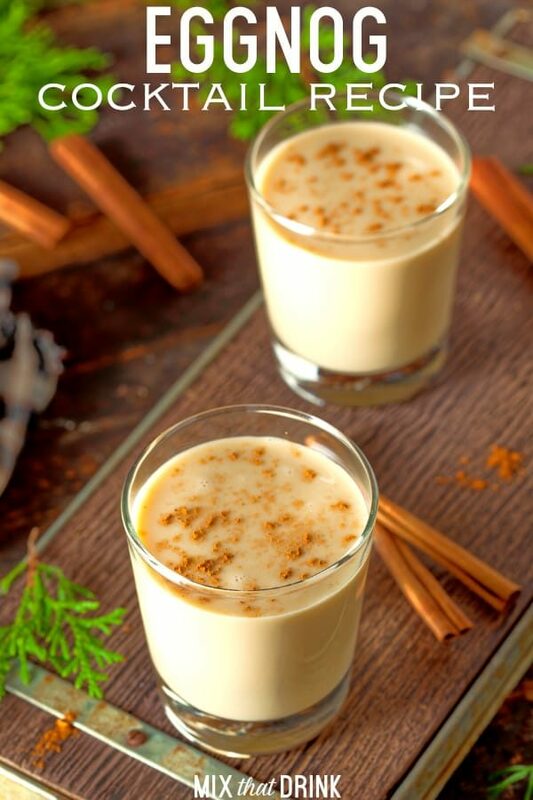 While some homemade eggnog recipes don’t call for you to cook anything, this one gives you that option. That’s because of salmonella concerns from the raw egg, which cooking will take care of. You absolutely don’t have to cook anything, but if it’ll put your mind at ease, that optional step of cooking it to 160 degrees F should kill any salmonella that’s present. Cooking doesn’t change the flavor or texture of the eggnog. It just adds some time to the process because you’ll have to chill the drink if you want to serve it at room temperature or cold. That said, I do like to ask guests if they have a problem with raw eggs before serving it that way. Pregnant women are advised to avoid raw eggs. Some people with certain illnesses may also not be able to risk consuming raw eggs, since a bout of food poisoning would be much harder on them than on a person of average health. Another option if you’re concerned is to buy pasteurized eggs or egg substitute. Another way this recipe differs from some is that I don’t use the egg whites to make into a froth to top on the drink. That is absolutely just a personal preference. This makes a little over two quarts. For the non-alcoholic version, just leave out the brandy and rum. Beat the yolks at medium speed until they're frothy. If you're not cooking it, gradually add the milk, cream, sugar, vanilla and nutmeg as you continue beating. Otherwise, skip to Step 3. If you're cooking it, warm the milk and cream in a saucepan over medium heat until it starts to bubble. In a separate bowl, whisk the egg yolks together. Slowly whisk the warm milk into the eggs. Put the mixture back on medium heat and cook, stirring gently, until it reaches 160 degrees. Stir in the whipping cream, brandy and rum. Chill it until you're ready to serve. It's best to keep it chilled at all times. what could i add to make its colour red?? Hmm, good question. Red food coloring would make it pink (unless you used A LOT). So would grenadine. If you’re looking to dress it up for the holidays, you could sprinkle it with red sugar instead of nutmeg – just add red food coloring to sugar and stir a lot until it’s all mixed in and not so wet. Also, a candy cane instead of the cinnamon stick. It says use white tequila in the Sunrise, is that really necessary?